This is a great oppotunity at a great price! This is a mini development consisting of 5 lots including an original and modern 3 bedroom home on one of them. The property is located just 3 minutes from the paved coastal highway and another 3 minutes to Playa Matapalo, a very beautiful beach that sits about halfway between Dominical and Quepos. The access is through a gated entry and then up a paved road that access very few properties, this one being at the end of the road. All of the properties beyond the gate share a common swimming pool. 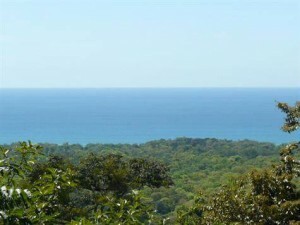 There are 3 great ocean view building sites, all private with large areas to build, and power and water in place. Two of them have ocean views all the way up the coast to Manuel Antonio and boast all year sunsets, the other one has a great ocean view framed by the jungle. The forth lot also has an ocean view and would make a great guest lot for the house. It also has some upper building sites still to be explored.